Apartment Description: Earthcraft home, built for sustainability. 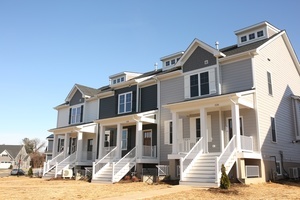 Come enjoy this brand new community along the Rivanna river on Pantops. Beautifully designed townhome with lots of details. Tons of modern finishes from beautiful Oak floors, cozy gas fireplace, granite counter-tops, modern lighting fixtures, classy stove hood and a floating staircase. This energy efficient home is sure to please. All utilities included so take advantage of all that the community has to offer; walk along the river, take the trail to Darden Towe Park or just relax as you sit on your front porch. Waitlist OPEN for 3 bedroom townhouse apartments coming in early 2019!